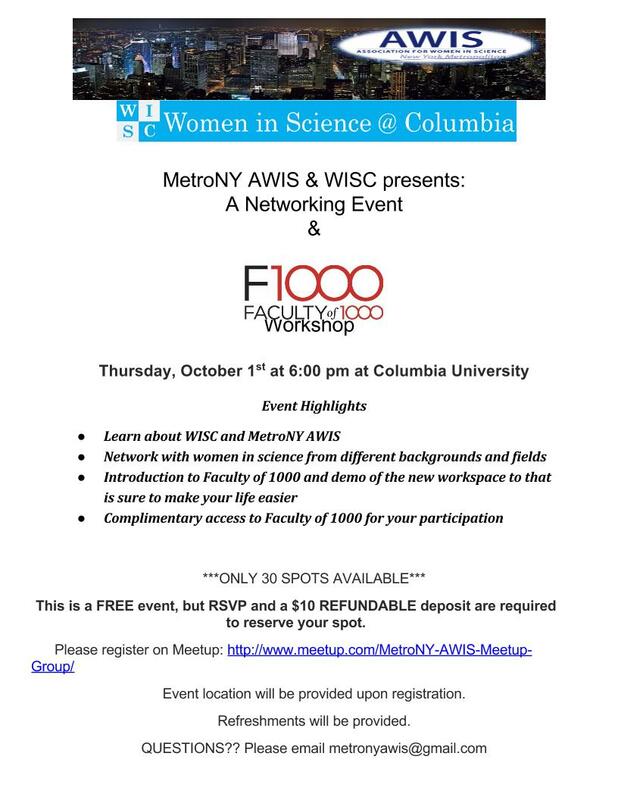 Join the Association for Women in Science (AWIS) and WISC for an evening of networking and a F1000 workshop presented by Kinga Houza, outreach director. Participants will get an introduction to F1000 and a demo of the new Workspace tool. Complimentary access to F1000 will be given to all participants if they don’t already have it through their institutions. This event is FREE, but RSVP and a $10 REFUNDABLE deposit are required to attend. Please register on our Meetup page. Location on the meetup page! Next Post Creating Connections Consortium (C3): Deadline Extended! !